Equally important as core protection to the warriors of old was hand protection. 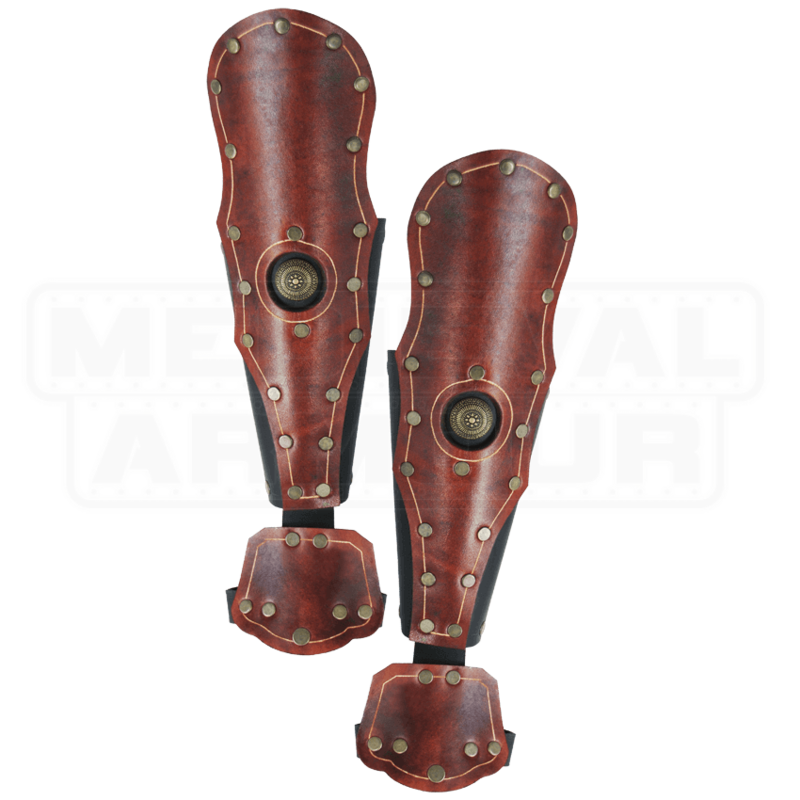 These Praetorian Leather Bracers offer protection for your hands but also a revived Roman style that is sure to make you look like a legionary or a centurion! The bracers offer protection for both the lower arm and the back of the hand, as well as a handsome look thanks to its rich brown and black dyed finish. Antique brass rivets decorate the bracer and a Roman phalerae rests as central adornment on the leather plating. The bracers are made from a combination of thick 9-10 oz. and soft 5-4 oz. vegetable leather. They are worn via lacing on the back and as such are highly adjustable. 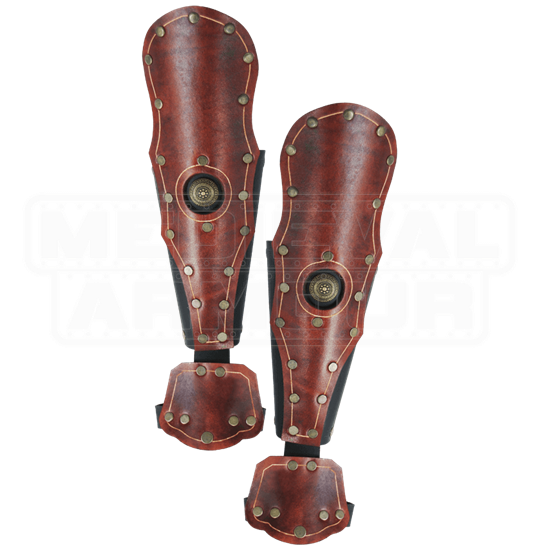 The addition of a hand-plate makes these Praetorian Leather Bracers highly protective and highly stylish, and they are a perfect way to complete your LARP look with a touch of old-world Roman style. One Size Fits Most. Offers a highly adjustable fit. First time buyer for leather armor. Bracers very efficient at protecting my arms from damage during battle. Have recommended to all of my friends. Repeat customer in the future.